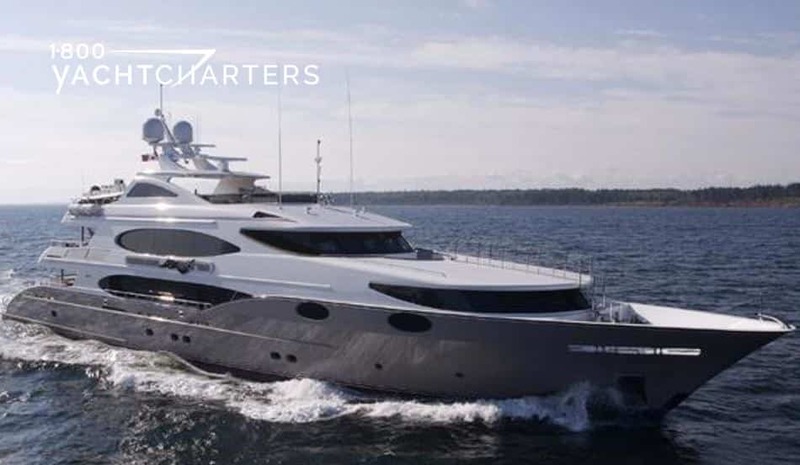 While European luxury yacht charter customers tend to request superyachts built in Italy, Holland, and France, their counterparts in America have a strong preference for a Trinity yacht charter vessel. The Trinity yacht charter fleet stands toe-to-toe with the Benetti yacht charter, Lurssen yacht charter, and Feadship yacht charter fleets in terms of luxury amenities and interiors. Trinity Yachts has earned its place as one of the world’s elite builders of custom superyachts, with an emphasis on European quality, steel and aluminum constructions. Their goal is to build a truly custom yacht that fulfills all of your unique cruising desires. In a world where most superyachts are constructed on a semi-production basis, this builder is renown for creating the largest yachts available for mega yacht charters, up to 400 feet (123 meters). They work with a number of the world’s most renowned naval architects and interior designers. Now planning a Caribbean yacht charter or Mediterranean yacht charter holiday on one of these magnificent yachts has never been easier. Currently, there are 17 rent private yacht Trinity-built models available. The newest and largest yachts include 54 meter KATHARINE, 50 meter MINE GAMES, and 49 meter yachts LOHENGRIN, ANJILIS, and MUSTANG SALLY.